If John left the room – what would someone say about him? "John is without exception at the top of my list when it comes to the guy you must have on your team." John has over 20 years experience in the Information Sector, having worked in a number of engineering, sales and executive positions. With a strong technical background, he has vast experience in designing and developing products and has delivered platforms from inception to production. John loves a challenge and is always pushing the boundaries to lead businesses on to exponential success. As a strategic thinker with a passion for creating disruptive market opportunities, John has continually exceeded expectations throughout his career and left his mark with a number of major accomplishments within the industry. Along with his technical expertise, John has considerable sales experience. He believes in ‘Solution Selling’ and has the intuitive ability to identify opportunities and develop unique solutions. 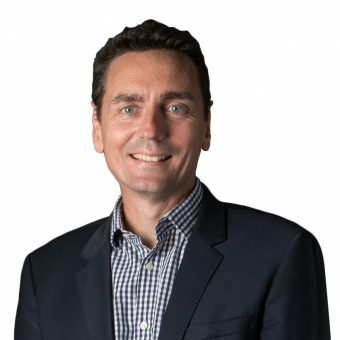 He has successfully positioned and sold Australian made products into international markets and has a history of building up profitable companies that sustain growth. As a leader, John is dedicated to enabling and empowering those around him and is passionate about building success within his teams. He leads by example and believes that if he inspires his workers, they’ll inspire not only him in return, but the clients he serves so loyally. As CEO, John leads the way in ensuring the company’s development, its strategic direction and its aggressive growth strategies are achieved and exceeded. When John has spare time, he loves to run. 4am runs are not unheard of so if he’s gone missing his family know why. A love of life in the fast lane, John also enjoys rally car racing, but adores nothing more than spending time with his wife and daughter.